» Smart-Kids Am I ready for school? 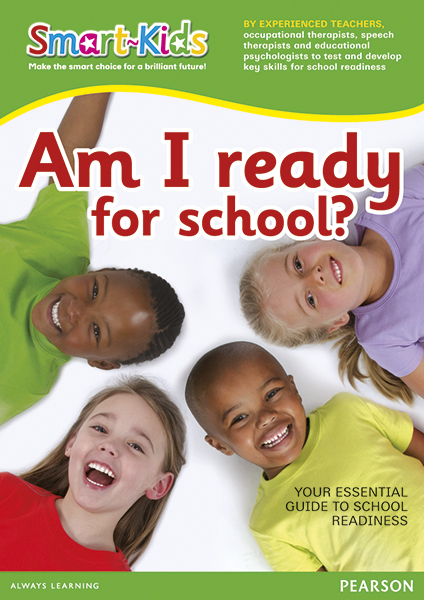 Written and reviewed by a team of experienced South African teachers, occupational therapists, speech therapists and physiotherapists, Smart-Kids Am I ready for school? is perfect for making sure your child is ready for primary school. Helpful ideas and advice combined with colourful and stimulating activities test emotional, physical and mental readiness. The activities cover important developmental aspects, such as body image; perception of self, others and the environment; memory; coordination; and speech and hearing. The detailed notes with each activity explain the concepts and suggest extension activities for extra practice.